There are many different types of cases out in the market today - from wooden cases to built-in card carriers, full leather wallets to even some that are waterproof. 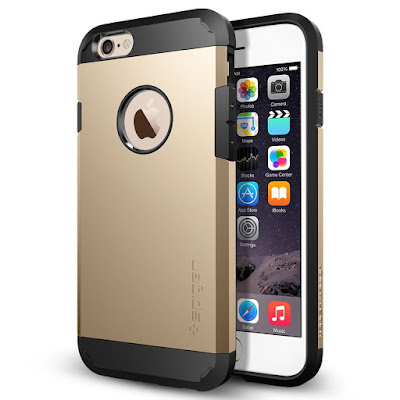 This list has something for everyone, featuring terrific iPhone 6 protective covers from the major categories. In full disclosure, there are affiliate links below and we appreciate all your support as always. They've really helped to keep the site going all this while. 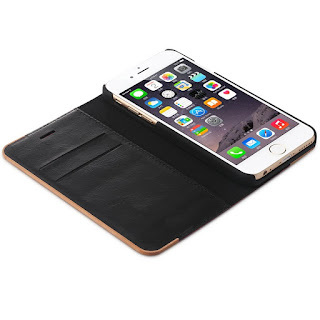 Made from durable soft-touch material, the Vault Slim Wallet by Silk is the perfect iPhone case for the minimalist. It doubles up as a wallet, with the slots at the back allowing you to fit in 3 cards and some folded notes. Don't be fooled by it's sleek exterior. On the inside, the Vault Slim Wallet is reinforced by a shock absorbent, ribbed infrastructure that helps to disperse shock away from your phone when you drop it. Overall, the Vault Slim Wallet has great reviews on Amazon, with a 4.3 star rating from 1,013 customer reviews. Since it's debut in 2004, Spigen has become well-known for their tough mobile phone cases and the Tough Armor Case is no different. Made from a dual layer of flexible Thermoplastic polyurethane (TPU) and hard polycarbonate (PC) along with protective features like Air Cushioned corners and an interior spider web design, the Tough Armor case for the iPhone 6 provides military-grade protection (MIL-STD 810G 516.6) with excellent impact absorption. Customers have noted the stylish matte finish, easy to press power and volume buttons as well as expanded port openings as big pluses of the Spigen Tough Armor Case. It has an impressive 4.4 rating on Amazon from over five thousand reviews. Unlike the Vault Slim Wallet by Silk, the Labato Wallet Case is more than just an iPhone case with a built-in card carrier. Instead, it's a full wallet and protective case in one, adding some style as well as providing protection. 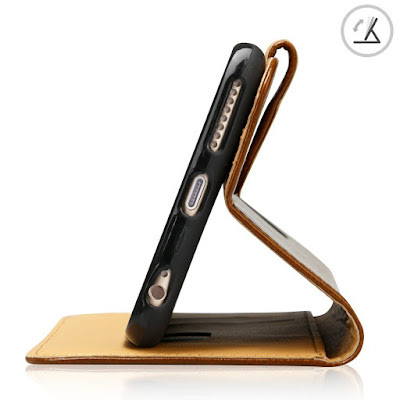 The Labato Wallet Case doesn't scrimp on protecting your phone from falls either. 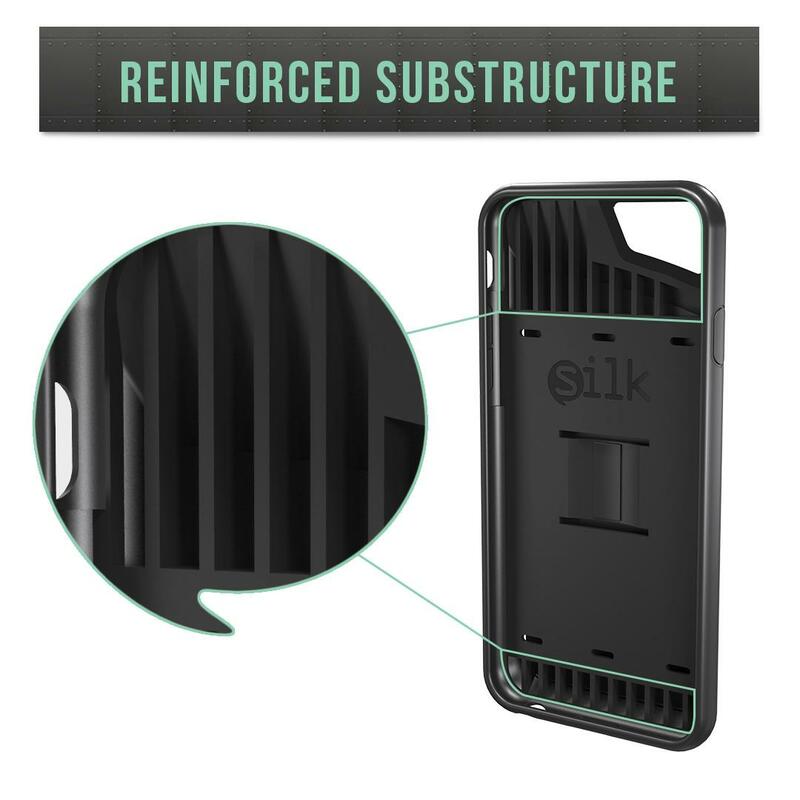 Like the Spigen Tough Armor Case, it's protective casing is made from strong polycarbonate and soft TPU. 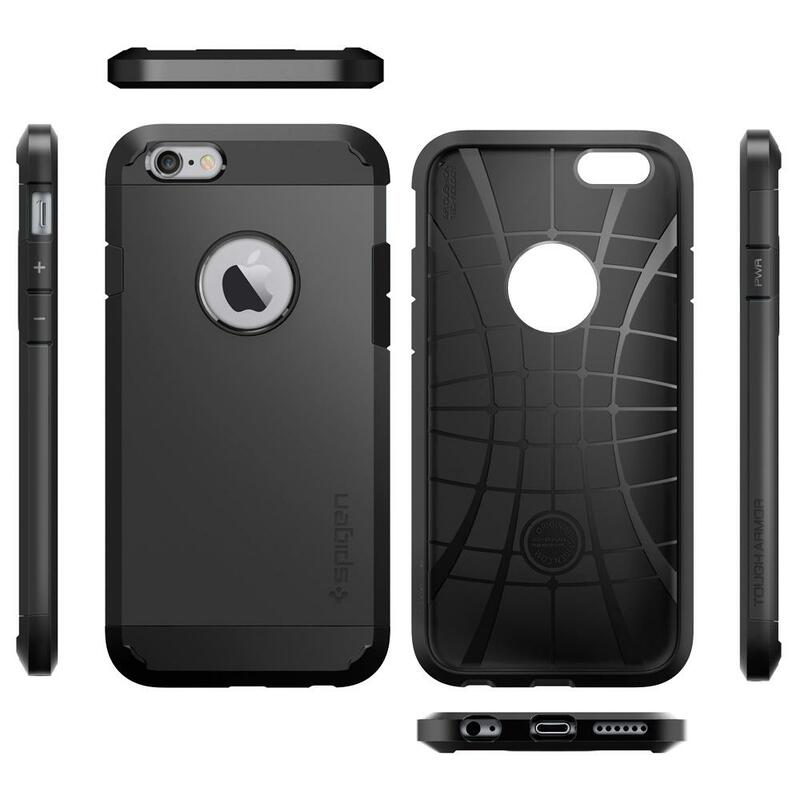 Unlike the Spigen Tough Armor case however, it isn't certified to provide military-grade protection. We also like the stand feature of the Labato Wallet Case which frees your hands so you can watch videos or even a movie on your phone. Overall, customers on Amazon have given it a 4.4 out of 5 rating, based on 634 reviews. Dropping your iPhone and ending up with a cracked screen or scratched case aren't the only hazards you have to worry about. If you were to drop your phone in water (like the toilet bowl... it happens) or even spill some water and it gets into the ports, it could really mess up your phone's circuits. While there are sites dedicated to how you can try to fix your water-damaged phone, we think prevention is better than cure. Not only is the Catalyst Waterproof Case is fully submersible to 16 feet (5 meters), it is also shockproof - able to withstand drops from 6.6 feet (2 meters) and dirt-proof. According to reviews, the cover also allows you to take underwater photographs with no leaks. Pretty impressive. Like the Spigen Tough Armor Case, the Griffin Survivor case is all about toughness and ability to withstand shocks. In this respect, it has been designed and tested to meet or exceed the US Department of Defense Standard 810F and UK Department of Defense Standard 00-35. Unlike the Spigen Tough Armor case, however, the Griffin Survivor case comes with a built-in screen protector. 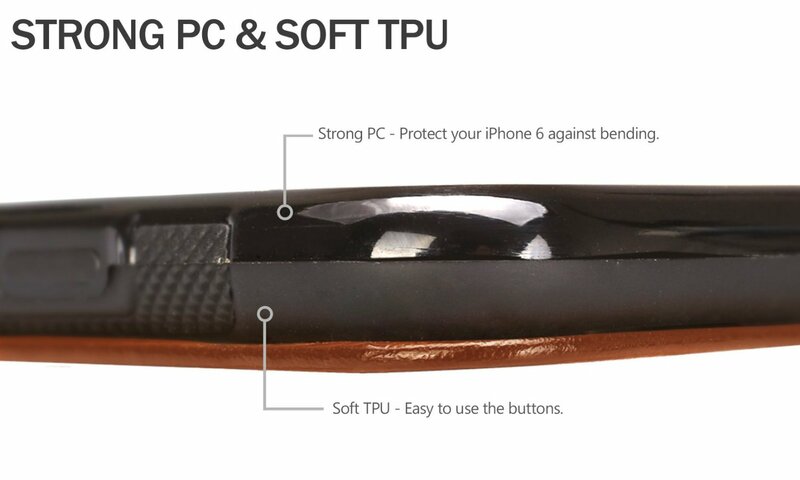 The Survivor is made from polycarbonate, clad in shock absorbing silicone which provides grip as well. The Vena is a slim and stylish polycarbonate hard shell with a natural wood case that is classy yet minimal. Like the Labato, the Vena doubles up as a wallet and also able to stand as well, providing you with a hands-free experience. 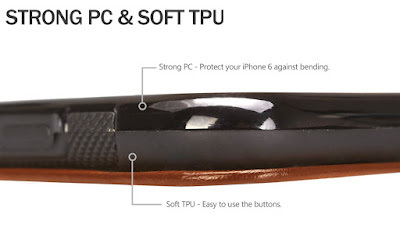 While we like the look of the case, if you're looking for something which is sturdy and able to offer a lot of protection from drops, then this probably isn't the phone for you based on the customer reviews. A few months ago Apple released the iPhone 6S and if you're not familiar with the Apple practice you may be confused about this new iPhone as it looks identical to the iPhone 6 but fear not they are not the same. The main addition to the iPhone 6s is definitely the new pressure-sensitive touchscreen technology named the 3D Touch that although right now is quite awesome and will definitely become more interesting when more apps are released for it.